When will be Diesel Brothers: Keep on Trucking next episode air date? Is Diesel Brothers: Keep on Trucking renewed or cancelled? Where to countdown Diesel Brothers: Keep on Trucking air dates? Is Diesel Brothers: Keep on Trucking worth watching? Diesel Brothers: Keep on Trucking is the 2nd series that airs extended enhanced episodes with extra information, deleted scenes and bonus unseen footage from the show "Diesel Brothers" that also airs on the Discovery Channel. A client wants his beaten-up work truck to become an off-road mobile service station; Diesel Dave finds a quad cab Dodge with a 12-valve diesel engine. For the next giveaway, the team works on a quad cab Dodge with a 12-valve; the guys import a surprise from Sweden for a trade show build. The Muscle buys a battered El Camino, but it may be too large a job for the team; Heavy D and Diesel Dave find their next giveaway truck. The crew scrambles to salvage their Duramax giveaway; Heavy D ignores budget restrictions for the company tow truck. 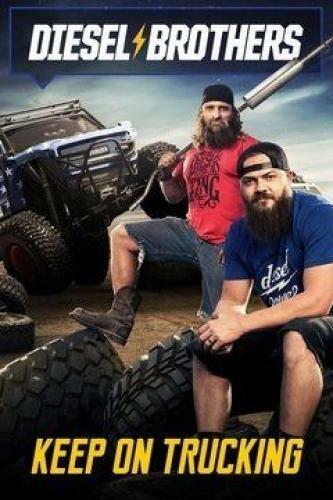 Diesel Brothers: Keep on Trucking next episode air date provides TVMaze for you. EpisoDate.com is your TV show guide to Countdown Diesel Brothers: Keep on Trucking Episode Air Dates and to stay in touch with Diesel Brothers: Keep on Trucking next episode Air Date and your others favorite TV Shows. Add the shows you like to a "Watchlist" and let the site take it from there.